President Trump’s abrupt decision to call off the scheduled June 12 summit with Kim Jung-un does not change the fundamental dynamics between the U.S. and North Korea: There was no way the summit could have succeeded so long as the Trump administration defined success as a North Korean agreement to total denuclearization. 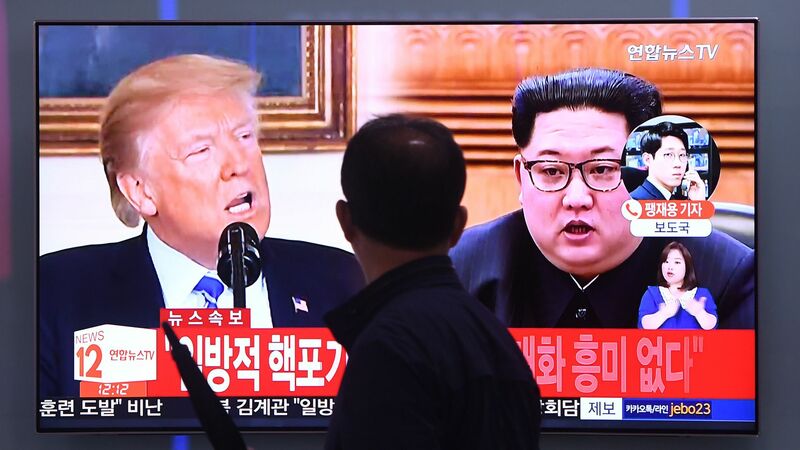 Better that the summit was postponed than to have ended up in dramatic failure, which would have led some to conclude (incorrectly) that diplomacy had been tried and failed, leaving a dangerous and costly war as the only U.S. alternative. Yes, but: The cancellation does highlight the lack of a viable U.S. strategy. Given the regime's resilience, allied with Chinese and Russian assistance, sanctions and war threats will not bring North Korea to its knees. Worse yet, there is the risk that North Korea could now increase the quality or quantity of its arms. North Korea–U.S. relations now remain where they have long been, and where they most likely would have remained had the summit gone ahead. The central question is whether the U.S. is willing to accept a diplomatic outcome short of total North Korean denuclearization. Such a deal could include a prolonged suspension of nuclear and missile testing in exchange for a degree of sanctions relief and diplomatic recognition. Such a deal would not follow the model of Libya or Iraq or Ukraine, as Kim is understandably wary of their example. The bottom line: For North Korea and elsewhere (Iran and China trade come to mind), the Trump administration will have to decide between what it wants and what is possible. All-or-nothing foreign policy will lead either to failed diplomatic gambits, like this one, or, worse yet, conflict.